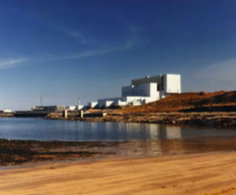 Cavendish Nuclear has announced a 10 year contract with EDF Energy to sustain critical infrastructure at two of its UK nuclear power plants. Cavendish will be renewing the primary shutdown systems of Heysham 2 and Torness. Both are advanced gas-cooled reactor stations that rely on some 3000 analogue modular elements, known as the reactor protection system, which monitor the reactors and are part of the station’s multi-layered safety systems which automatically shut-down the reactor if defined parameters are reached.